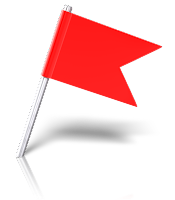 Many Perpetual Travellers choose to organize their affairs around what is known as the "5 Flags" theory. This involves arranging different facets of their lives to fall under the jurisdiction of separate countries or flags. The original “5 Flags” concept was created by W.G. Hill, who added a 2 flag extension to the "3 Flag" approach created by the infamous international adviser Harry Schultz. Passport and Citizenship In a country that does not tax money earned outside the country. Business Base Where you earn your money, ideally somewhere with low Corporate tax rates. Asset Haven Where you keep your money, ideally somewhere with low taxation of savings interest and capital gains. Playgrounds Where you spend your money, ideally somewhere with low consumption tax and VAT. The above “5 Flags” theory was the fashion of the day for wealthy people in the 1990’s, but increasingly difficult to apply in today’s 21st Century world, which is experiencing the demise of the offshore Tax Haven. One therefore may wish to replace a Tax Haven with a country that applies a low personal tax and is not considered Offshore. Examples of such countries would be Cyprus or Malta that are both based in the EU yet their personal tax rates are reasonable.